Battle Creek Alliance releases new White Paper on clearcutting in California. The Battle Creek Alliance, a nonprofit environmental group from Montgomery Creek, CA, has just issued a 23 page report entitled: "A WHITE PAPER: An Introduction and Analysis to the Clearcutting of Forests in California’s Watersheds." The report details the economic and social costs of clearcutting in California, and can be downloaded HERE. Earlier this month, The Battle Creek Alliance began airing hard-hitting network television commercials chastising Gov. Brown and the state Legislature for bowing to special interests and allowing clearcutting in California's forests. It was aired in the State Capitol City of Sacramento on CNN, MSNBC, Headlines News and various environmental networks, including National Geographic Channel and Discovery Channel throughout the entire month of May. 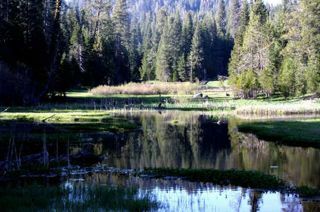 Cal Edison planning THP near the popular Dinkey Creek recreation area. 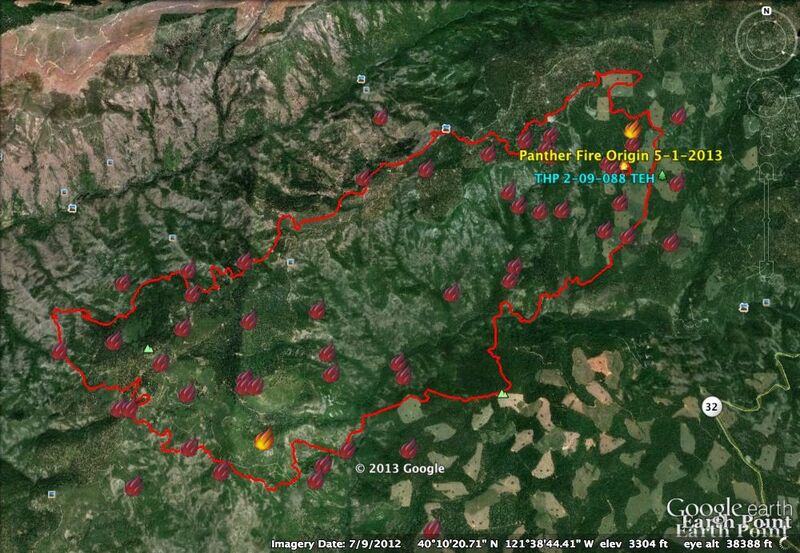 THP 4-13-005 FRE (Lost Dinkey THP) Cal Edison, 3610 acres; 98% selection, 2% no-harvest logging. Nutmeg Creek, Bear Meadow Creek, Lost Creek, Lower Deer Creek, Providence Creek, Exchequer Creek (MD: T10S R25E Sec.24, 25, 36; T10S R26E Sec.19, 29, 30, 31, 32). Winter operations, moderate erosion hazard, steep slopes up to 65%, road slump, 9 CA spotted owls within 1.3mi, great gray owl and willow flycatcher sightings nearby, trees up to 150 years old. Estimated public comment deadline: 06/29/13. This THP is about 8 miles SE of the community of Shaver Lake and Highway 168 at an elevation of 4560 - 6723 feet near Dinkey Creek. Cal Edison is planning a tractor and feller buncher selection logging operation in mixed conifer stands near the popular recreation area 1.5 miles south of the Dinkey Creek Cabin Community and Camp Fresno. Great gray owls, CA spotted owls and willow flycatchers have been spotted in the area mostly towards Lost Meadow. Cal Edison will be bi-passing a road slump area and blasting a rock outcropping which is partially blocking a roadway. There are 53 road drainage work sites including rocking, dip construction, culvert repair and ditch cleaning. More information is available on the THP Tracking Center website. THP 2-13-020 SHA (Connor PTHP) Hearst Corporation, 321 acres; 100% selection logging. Pig Creek, Battle Creek (MD: T38N R2W Sec.5, 6, 8; T39N R2W Sec.31, 32). Wet weather operations, moderate erosion hazard, steep slopes up to 65%, landslide terrain, 6 road drainage work sites, wet areas, scattered large trees. Estimated public comment deadline: 07/01/13. This THP is about 4 miles south of the town of Mc Cloud, CA and Highway 89 at an elevation of 2,800 - 3,800 feet. Hearst Corporation is planning a tractor and feller buncher selection logging operation in mixed conifer stands near Squaw Valley Creek and the Mc Cloud River. The THP area contains 6 unstable sites (earth flow, debris slides, etc), 3 springs and 1 wet area. Hearst Corporation is planning to use 2 landings adjacent to Class III watercourses, and there are 6 road drainage work sites including dip construction, rocking and culvert maintenance. More information is available on the THP Tracking Center website. THP 1-13-040 HUM (Monument THP) Russ Ranch and Timber Company, 152 acres; 80% clearcut, 20% selection logging. Peaked Creek, Beer Bottle (HUM: T1N R1W Sec.25, 26, 34, 35, 36). Winter operations, moderate erosion hazard, steep slopes over 85%, landslide terrain, road failure sites, 82 road drainage work sites, herbicides, coho watershed, 8 spotted owls within 1.3mi, golden eagle within 1 mi, cooper's hawk within 1.2 mi, trees up to 60" dbh. Estimated public comment deadline: 07/03/13. This THP is about 3 miles SW of Scotia, CA and Highway 101 near the upper reaches of Bear Creek which is an important steelhead and Chinook fishery that drains into the Pacific Ocean. Russ Ranch and Timber Company is planning a tractor and cable logging operation in steep and unstable slopes in second growth Douglas fir, grand fir and redwood at an elevation of 1100 - 2760 feet. Within the THP area there are 5 landslide terrain sites including earth flows, debris flows, hummocky ground and cracks, and 5 road failure sites including cut bank failures, gullying and drop downs. Road construction, re-construction and landing use is proposed in unstable areas, and tractors are proposed for use in Unit A which is designed for cable logging. There are 82 road drainage work sites including culvert repair, rocking, ditch cleaning and road bed stabilization. One northern spotted owl was reported to be within 1,000 feet of the THP which will remove 118 acres of nesting and roosting habitat. More information is available on the THP Tracking Center website. Green Diamond Resource Company to clearcut log in Little River drainage. THP 1-13-039 HUM (CR2420-CR2008 THP) Green Diamond Resource Company, 70 acres; 88% clearcut, 6% no-harvest, 4% selection, 1% roadside logging. Lower South Fork, Maple Creek (HUM: T8N R1E Sec.22, 25, 26, 27, 35). Wet weather operations, moderate erosion hazard, steep slopes over 70%, steep road, 4 road drainage work sites, herbicides, coho watershed, 6 spotted owls within 1.3mi, osprey sightings nearby, northwestern salamander eggs, trees up to 54" dbh. Estimated public comment deadline: 06/28/13. This THP is about 12 miles north of Arcata, CA, and about 4 - 6 miles east of Trinidad and Highway 101. 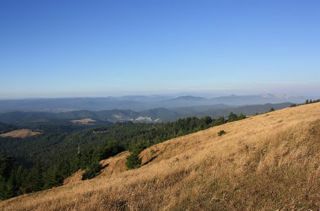 Green Diamond Resource Company is planning a mostly clearcut feller buncher, shovel and cable logging operation in second growth redwood and Douglas fir on steep slopes near the Little River. Green Diamond Resource Company owns over 80% of the greater Little River drainage, an important coho, Chinook, steelhead and coastal cutthroat trout. The THP area contains steep streamside slopes, a steep segment of temporary road is proposed in Unit C with a 15% - 20% grade, and 2 wet areas are located near Unit A. Northwestern Salamander eggs were found near the wet areas, and a northern spotted owl was reported within .25 mi of Unit A. More information is available on the THP Tracking Center website. TRINIDAD, CA – Earth First! Humboldt has dropped a large banner reading “Respect Strawberry Rock — Forest Stewardship Council and Sustainable Forestry Initiative Green-Wash Green Diamond’s Clear-Cuts.” The banner hangs 100 feet off the ground, and can be seen directly northbound on the 101 from Trinidad. Green Diamond is the first U. S. based company that has received FSC certification while still practicing clear cut forestry methods, something that FSC is selling to the public as sustainable. For the SFI, industry created label, clear-cutting is status quo. Green Diamond holds both FSC and SFI certifications. Despite much vocal opposition from the community, including the mayor of Trinidad, as well as dedicated tree-sitters maintaining tree-sits, Green Diamond Resource Company is continuing the clear-cutting, aka “even aged management” around Strawberry Rock. These plans include logging stands of residual old-growth and old second growth redwoods. Included in the forest is a rare and little understood species, Bishop Pine. 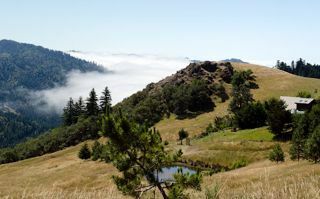 (editor's note: The last of Bishop Pine's native range in Northern California rests squarely inside Green Diamond's property in Trinidad.) 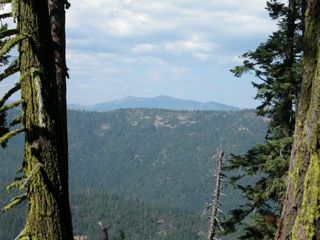 Green Diamond has a 45 year clear-cut rotation plan, including all of the land around Strawberry Rock. Earth! First Humboldt is calling for Green Diamond Resource Company to create a special management zone of the Strawberry Rock area in which restoration forestry practices are followed include but are not limited to: not taking more than a third of the annual growth of the forest, protecting rare and endangerd species such as the Bishop Pine, Spotted Owl, and Marbled Murelet, and restoring mature forest habitat. The California Department of Forestry (CALFIRE) has recently indicated that it will move to approve Green Diamond’s plans to conduct damaging clearcut logging in the heavily impaired Elk River watershed. Timber Harvest Plan 1-12-113HUM “McCloud Creek East #5” was recommended for approval at the local level on Thursday May 2nd. Unlike other land managers in the Elk River watershed, Green Diamond continues to propose intensive clearcutting, road construction, and potentially the use of toxic chemical herbicides. 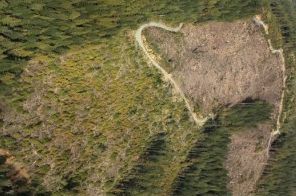 Clearcut logging as proposed will result in decreased canopy interception and transevaporation, resulting in increased water production and sediment transport to a watershed already suffering from intensive sediment impairment. Please refer to our December 18th blog post for greater detail about the plight of Elk River and the destructive details of Green Diamond’s new McCloud Creek Timber Harvest Plan. THP 1-13-038 HUM (Victor Lake 2013 THP) Green Diamond Resource Company, 116 acres; 55% clearcut, 39% selection, 4% roadside, 1% no-harvest logging. Goodman Prairie Creek (HUM: T4N R3E Sec.15, 16, 21, 22). Winter operations, moderate erosion hazard, steep slopes up to 65%, steep roads, landslide terrain in unit B, road failure sites, 22 road drainage work sites, oversized units, herbicides, impaired 303.d watershed, coho watershed, 8 spotted owls within 1.3mi, golden eagle within .5 mi, southern torrent salamander sightings, howell's montia, scattered trees up to 100" dbh. Estimated public comment deadline: 06/20/13. 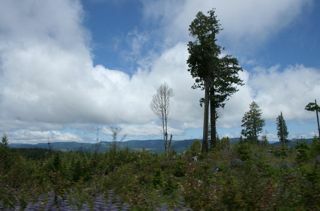 This THP is about 15 miles SE of Eureka, CA and 7 miles east of Kneeland, CA at an elevation of 1,720 to 2,440 feet. Green Diamond Resource Company is planning a feller buncher, shovel and and cable logging operation in second growth Douglas fir. The THP area flows into the Mad River which is listed as impaired for temperature and sediment, and is an important coho, steelhead and coastal cutthroat trout fishery. There are 2 landslide terrain sites in Unit B including dormant landslide terrain and debris slides, and road construction and re-construction is planned near streams in Units B & C. Over 10,794 feet of new road construction and re-construction is planned, and there are 22 road drainage work sites including dip construction, culvert repair and road bed stabilization. Northern spotted owl use was reported within .5mi of Unit A, and .25 mi of Units B & C. There are some Howell's Montia populations adjacent to appurtenant roads. More information is available on the THP Tracking Center website. Green Diamond Resource Company planning another clearcut THP near Highway 299 summit. THP 1-13-037 HUM (Bald Mtn 1200 THP) Green Diamond Resource Company, 70 acres; 86% clearcut, 11% no-harvest, 1% selection, 1% roadside logging. Pollock Creek (HUM: T6N R3E Sec.17, 18, 19, 20, 29, 30). Wet weather operations, moderate erosion hazard, steep slopes over 55%, 7 road drainage work sites, road failure sites, wet area in unit B, impaired 303.d watershed, herbicides, coho watershed, 12+ spotted owls within 1.3mi, trees up to 42" dbh. Estimated public comment deadline: 06/19/13. This THP is about 6 miles east of Blue Lake, CA and about 3 miles south of the Coast Range Highway 299 summit at an elevation of 2480 - 2960 feet. 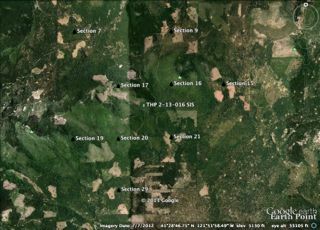 It is just south of the recently released Green Diamond Resource Company (Lupton North THP 1-13-034 HUM) 71 acre clearcut THP. Green Diamond Resource Company is planning another ground based mostly clearcut logging operation in second growth Douglas fir along the Bald Mountain Road ridgeline. 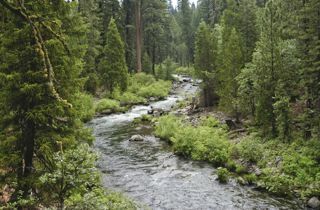 The Bald Creek watershed flows into the North Fork of Mad River which is listed for sediment, turbidity and temperature and is an important steelhead and coastal cutthroat trout fishery. The THP contains Habitat Retention Areas (HRAs) comprised mostly of hardwoods for wildlife, and a wet area in Unit B. There were some misc road cutbank failure sites reported. More information is available on the THP Tracking Center website. Northern California environmental group has begun airing advertisements on cable TV stations criticizing Gov. Jerry Brown for allowing clear-cut logging on thousands of acres of forest land. Marily Woodhouse, co-founder of the Manton-based Battle Creek Alliance, said today her organization paid $3,000 to air spots this month on CNN, MSNBC and other cable networks in Sacramento. The tiny ad buy is part of an ongoing conflict between environmentalists and business interests over the state's management of logging on private land. One ad features a photograph of the Democratic governor in a superimposed pair of sunglasses. "Where's the real Gov. Jerry Brown?" a narrator says. 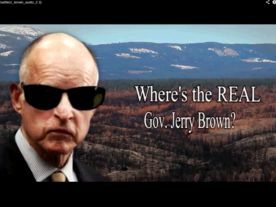 "We don't know where this Jerry Brown impostor came from, but will the real one who values California's inhabitants and natural resources over the wealthy, special interest, short term profiteers please come back?" The criticism is highly general, and Battle Creek Alliance neither objects to nor advocates for any specific policy in the ad. Woodhouse said she decided to air it because on logging issues, generally, "we've worked on this for a long time but really gotten nowhere." Hearst Corporation planning new THP near Mc Cloud River. THP 2-13-019 SIS (Angle Creek PTHP) Hearst Corporation; 488 acres; 100% selection logging. Angel Creek (MD: T39N R2W, Sec 23,24,25,26; T39N R1W Sec 19,29,30). Winter operations, moderate erosion hazard, steep slopes up to 65%, landslide terrain, 8 road drainage work sites, 1 spotted owl within 1.3mi, scattered large trees. Estimated public comment deadline: 06/15/13. This THP is about 5 miles SE of the town of Mc Cloud, CA near the Mc Cloud River. Hearst Corporation is planning a tractor and cable selection logging operation near Angle Creek which is a tributary to the Mc Cloud River and Lake Mc Cloud. There are 21 unstable areas in the THP area including active and dormant landslides, debris slides and cut bank failures. Hearst Corporation is planning to use a road and landing adjacent to Angel Creek, and a skid road in a class II watershed. More information is available on the THP Tracking Center website. THP 2-13-017 PLU (Poplar III THP) Soper Wheeler Company, 2688 acres; 55% group selection, 17% sanitation-salvage, 12% commercial thin, 5% shelterwood, 5% rehab, 4% selection, 2% clearcut logging. Poplar Creek, Jackson Creek, Smith Creek, Eureka Creek (MD: T22N R11E Sec.2, 3; T22N R12E Sec.17, 19, 20; T23N R11E Sec.21, 22, 23, 25, 26, 27, 28, 33, 34, 35, 36). Winter operations, moderate erosion hazard, slopes up to 50%, 141 road drainage work sites, herbicides, 4 CA spotted owls within 1.3mi, goshawk within 1.3mi, trees up to 140 years old. Estimated public comment deadline: 06/03/13. 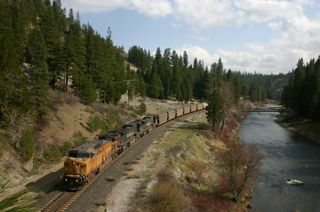 This THP is about 12 miles SE of Quincy, CA and about 3 miles SE of the community of Cromberg, CA. Soper Wheeler Company is planning a ground based logging operation in mixed conifer stands at an elevation of 4,600 to 5,200 feet. The plan includes the proposed use of 18 skid trails near class I streams, 4 landings near class I streams, 11 skid trails near class II streams, 6 landings near class II streams, and the use of skid trails, roads and landings adjacent to class III streams during the winter period. Rehab logging is also planned to remove oaks and brush species and to re-plant with conifers. The Smith Creek Pack Trail traverses the THP area between Smith Lake and the town of Mohawk, and is commonly used by mountain bikers. There is 1 goshawk territory nearby on adjacent Forest Service lands. More information is available on the THP Tracking Center website. Campbell Timberlands planning new THP east of Mt. Shasta. THP 2-13-016 SIS (Lost Horse THP) Campbell Timberlands, 1893 acres; 24% commercial thin, 19% no-harvest, 15% clearcut, 12% rehab, 10% sanitation-salvage, 8% shelterwood, 7% group selection, 4% selection, misc roadside logging. Horse Peak, Antelope Creek (MD: T42N R1E Sec.7, 9, 15, 16, 17, 19, 20, 21, 29). Winter operations, moderate erosion hazard, slopes up to 65%, 18 road drainage work sites, impaired 303.d watershed, herbicides, 1 spotted owl within 1.3mi, trees up to 36” dbh. Estimated public comment deadline: 06/03/13. This THP is about 15 miles NE of the town of Mc Cloud, CA. 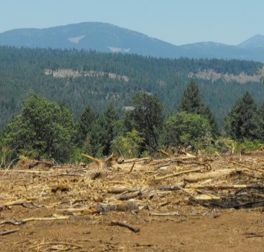 Campbell Timberlands is planning a ground based logging operation with some biomass removal in mixed conifer stands at an elevation of 4,600 to 6,400 feet. 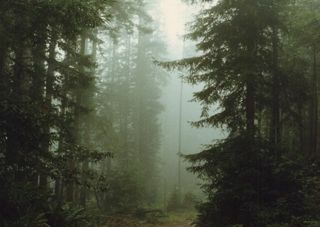 The THP includes a mix of silvicultural prescriptions including; Alternative 1 (commercial thinning & shelterwood) targeting the large tree overstory and understory, Alternative 2 (modified clearcut) which will leave behind some cull trees and snags, shelterwood and sanitation-salvage prescriptions targeting red and white fir, and rehab logging to remove knob cone pine and re-plant with conifers. The THP also includes a large amount of road construction and road re-construction totaling over 23, 291 feet. More information is available on the THP Tracking Center website. 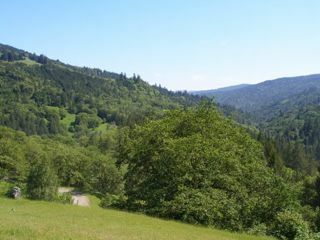 Humboldt Redwood Company to helicopter log on steep slopes near Kneeland. THP 1-13-035 HUM (Mountain View THP) Humboldt Redwood Company, 115 acres; 49% group selection, 21% variable retention, 20% selection, 10% no harvest logging. Lawrence Creek (HUM: T4N R2E Sec.23, 24, 25). Winter operations, moderate erosion hazard, steep slopes over 80%, landslide terrain, road failure sites, 30 road drainage work sites, impaired 303.d watershed, coho watershed, 6 spotted owls within 1.3mi, golden eagle nest within 1.3 mi, howell's montia, trees up to 70" dbh. Estimated public comment deadline: 06/10/13. This THP is about 10 miles SE of Eureka, CA and about 3 miles SE of Kneeland, CA. Humboldt Redwood Company is planning a tractor, cable, and helicopter logging operation on steep slopes in second growth Douglas fir stands at an elevation of 1,880 - 2,770 feet. 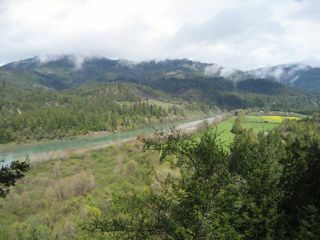 Several of the tributaries in the THP area drain into the Van Duzen River which is listed for sediment and temperature. There are also over 17 landslide terrain features in the THP area including debris slides, earth flows, and cut bank failures. 30 road drainage work sites are planned including dip construction, rocking, culvert repair, road stabilization and ditch cleaning. Tractors will also be used on steep slopes between 50 - 65% in units designed for cable logging, and skid trails will be used adjacent to class III streams at 3 locations. There is an off property spotted owl site within 1,000 feet of the THP. More information is available on the THP Tracking Center website. THP 2-09-088 TEH (K Line THP) Sierra Pacific Industries, 744 acres, clearcut, selection logging. Cement Creek (MD: T26N R3E Sec.1; T26N R4E Sec.6; T27N R3E Sec.12, 13, 14, 23, 24, 26, 35, 36; T27N R4E Sec.6, 7, 8, 31). Winter operations, moderate erosion hazard, steep slopes, 3 CA spotted owl territories, scattered large trees, sensitive plants. Estimated public comment deadline: 11/26/09. 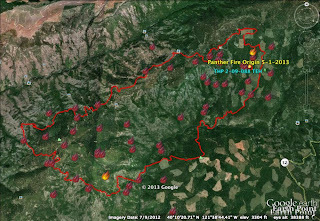 The Panther Fire started on May 1, 2013 and was first reported as burning in timber and timber slash, and was contained on May 9, 2013 at 6,965 acres. The official cause of the fire is under investigation, but the fire did burn in or around Sierra Pacific Industries K Line THP which is NW of Butte Meadows in Tehama County. More information is available on the THP Tracking Center website. Crane Mills planning shelterwood removal next to Berry Creek THP and Thomes Creek drainage. THP 2-13-015 TEH (MR2 THP) Crane Mills Corporation, 876 acres; 90% shelterwood, 10% selection logging. Lower Fish Creek (MD: T24N R8W Sec.18, 19; T24N R9W Sec.11, 12, 13, 24). Winter operations, moderate erosion hazard, slopes up to 60%, 12 road drainage work sites, herbicides, chinook watershed, 5 spotted owls within 1.3mi, scattered large trees. Estimated public comment deadline: 05/16/13. This THP is about 15 miles NW of Paskenta, CA near the Thomes Creek drainage and adjacent to Crane Mill’s Berry Creek THP at an elevation of 5200 - 3760 feet. Crane Mills Corporation is planning a tractor and cable logging operation which is mostly a shelterwood overstory removal of mixed conifer stands. Because of the lack of available habitat for the Northern spotted owl in the area, Crane Mills has proposed an 87 acre special treatment area to retain foraging habitat. The majority of the watershed is owned by Crane Mills and the United States Forest Service. More information is available on the THP Tracking Center website. THP 1-13-034 HUM (Lupton North THP) Green Diamond Resource Company, 71 acres; 87% clearcut, 10% no-harvest, 3% roadside logging. Lupton Creek (HUM: T6N R3E Sec.4, 8, 9). Winter operations, low erosion hazard, slopes up to 40%, oversized unit c, herbicides, impaired 303.d watershed, coho watershed, 9 spotted owls within 1.3mi, trees up to 48" dbh. Estimated public comment deadline: 05/28/13. This THP is about 7.5 miles NE of the town of Blue Lake and close to the Highway 299 summit pass on the coast range. Green Diamond Resource Company is planning a feller buncher and shovel logging operation in second growth Douglas fir with minor amounts of tan oak, madrone and chinquapin. The area has been heavily clearcut in the past, and ultimately drains into Redwood Creek and flows into the Pacific Ocean. The greatest impact besides the clearcut logging, is the construction of 9660 feet of new seasonal road, and 940 feet of temporary road. Unit C is an oversized unit. More information is available on the THP Tracking Center website. Humboldt Redwood Company planning timber sale in unoccupied marbled murrelet stands near Rio Dell. THP 1-13-033 HUM (The Bear THP) Humboldt Redwood Company, 372 acres; 55% group selection, 26% no-harvest, 11% selection, 8% variable retention, misc roadside logging. Bear Creek (HUM: T1N R1E Sec.25, 36; T1N R2E Sec.31; T1S R1E Sec.1, 12). 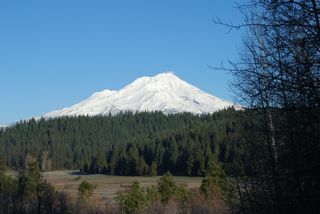 Winter operations, moderate erosion hazard, steep slopes over 65%, landslide terrain, debris slides, road failure sites, 3.8 acres of large tree logging, impaired 303.d watershed, coho watershed, 12+ spotted owls within 1.3mi, 5 osprey nests within .5 mi, Humboldt milk vetch, trees up to 55”. Estimated public comment deadline: 06/02/13. This THP is about 3 miles NW of Rio Dell, CA and just west of Highway 101 and the Eel River which is listed as impaired for sediment and temperature. Humboldt Redwood Company is planning a tractor and cable logging operation in second growth redwood, Douglas Fir and Grand fir at an elevation of 150 - 2350 feet. The THP has 38 landslide terrain features including debris slides, debris flows and cut bank failures. 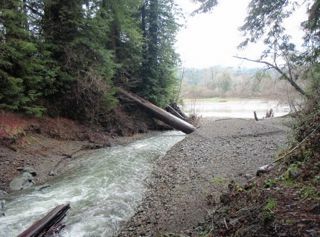 Humboldt Redwood Company is planning to use ground based equipment on units designed for cable logging, and there are 34 road drainage work sites including dip construction, culvert repair, rocking and ditch cleaning. 3.4 acres of large tree logging in unoccupied marbled murrelet stand 321 is planned, and 0.4 acres of large tree logging in unoccupied marbled murrelet stand 382D is planned. There are 5 osprey nest sites within .5 mi of Unit 2. More information is available on the THP Tracking Center website.